Wisdom Marine’ Board of Directors has approved the purchase of two bulk carriers, the Taiwanese shipping company said in a regulatory filing. The approval relates to one 63,300 dwt bulk carrier to be ordered from Japanese shipbuilder Tsuineishi Group. The company has assigned USD 31 million for the acquisition. The second newbuild is a smaller bulker featuring 61,000 dwt and will be ordered from Kawasaki Heavy Industries. 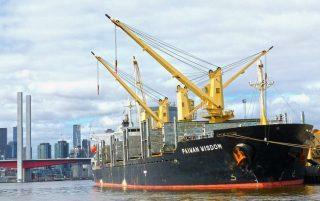 Wisdom Marine said it would assign USD 29 million for the vessel bringing the total value of the deal to USD 60 million. Just last month, the Taiwanese shipowner ordered the construction of a 82,400 dwt bulker at Japan Marine United Corporation (JMU). The Tier III NOx compliant newbuild is priced at USD 34 million, and is identical to the one ordered in June this year. In February, the company invested USD 68 million in two new NOx Tier III Panamaxes, which will also be built by JMU. Wisdom Marine has been on an ordering spree since last year, and it has 12 newbuilding ships under construction. These include four Panamaxes at JMU, three Handies and two Supramaxes at Imabari, one Handy at Namura, and two Supramaxes at Kawasaki. In total, the company’s large and diverse fleet of dry bulk vessels counts over 130 ships, the focus being on Handysize and Supramax bulkers.